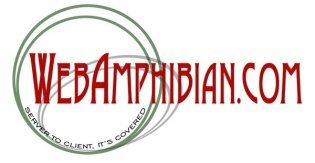 Here at WebAmphibian.Com, we have a number of products available for download: white papers, donate-ware programs, share-ware programs and commercial products. Each of these downloads exemplifies a number of different skills and disciplines being brought together harmoniously. SoftwareAudit is a systems administration tool geared towards helping the SMB systems administrator get a handle on their license count, usage, and compliance. This WebAmphibian.Com web application is designed to make creating print and interactive on-line tests easy. Using virtually any Microsoft Windows computer, insturctors can create multiple-choice, true/false, and select question test that are dynamically changed each time they are utilized. The pcLockOut is a tool geared towards helping parents control the times when their children have access to their computers. Specifically, using pcLockOut, parents may set specific times of day when any given PC may be on and running. At the specified time, pcLockOut will shut down the PC. Further, if a PC is turned on when in a "shut down" time, pcLockOut will shut down the system again. FontSelector is a web design tool to aid in selecting font characteristics from among the plehtora of fonts on the average PC. WebHide provides a way of hiding email addresses in web pages that is not easy for spammers to scan for. Friendship Bags are a simple way to show a group of people that they are important to you. Using this application, you will be able to generate the little card that typically goes in these gifts. Caesar Shift, book 1 in a series of crytography books for children. Rail Fence Cipher, book 2 in a series of cryptography books for children. The Periodical Cipher, book 3 in a series of cryptography books for children. In an attempt to help everybody understand spam, from many different angles (and as a service to the web community), we have written a white paper on spam, in all its forms. In an attempt to help everybody understand why backups are so important, especially to the "mom and pop" computer users, we have written a white paper on The Case For Backups.